For any organisation that recognises the value and importance of the UK travel media, and the role they play in promoting destinations, travel businesses and travel products, the Travel Media Awards present themselves as an excellent marketing and networking opportunity. With the circulation and readership of shortlisted finalists running into many millions, the Awards have established themselves as a strong platform for partners to target and network a powerful niche audience of the very best of the UK travel media. For the 2019 Awards we have created an exciting and varied range of partnership opportunities to suit all budgets; from individual award presentation, badges/lanyard sponsors, awards programme advertising to the popular social media partnership, with all opportunities created to provide maximum brand awareness and visibility to our audience of leading travel writers, broadcasters and photographers. The 5th annual Travel Media Awards will be returning to The Landmark London on Marylebone Road on Monday 21 October 2019. 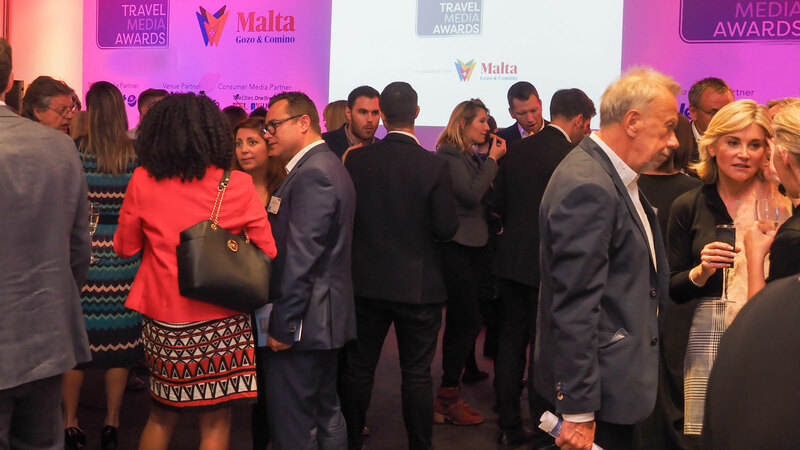 Over 300 travel writers, broadcasters, photographers and travel industry guests attended the 4th annual Travel Media Awards at the ME London Hotel on 17 October 2018. A total of 20 awards were presented with the event culminating in the presentation of a Special Contribution Award to Lisa Minot in recognition of her journalistic career. The 2019 Travel Media Awards will be moving to a new venue , The Landmark London, on Monday 21 October 2019. The Awards commence at 6.30pm with a champagne drinks reception, with the awards ceremony commencing at 7.15pm; a networking session with drinks, canapes and bowl food follows, with the event closing at 10.00pm. The 5th annual Travel media Awards moves to The Landmark London on Monday 21 October 2019.